The Stearns & Foster® IV Scarborough Luxury Firm Pillow Top sets a high bar for a luxury mattress. At its core is our exclusive IntelliCoil® Advanced, with an innovative design that constantly adapts to your body shape and movement to deliver the perfect level of support. 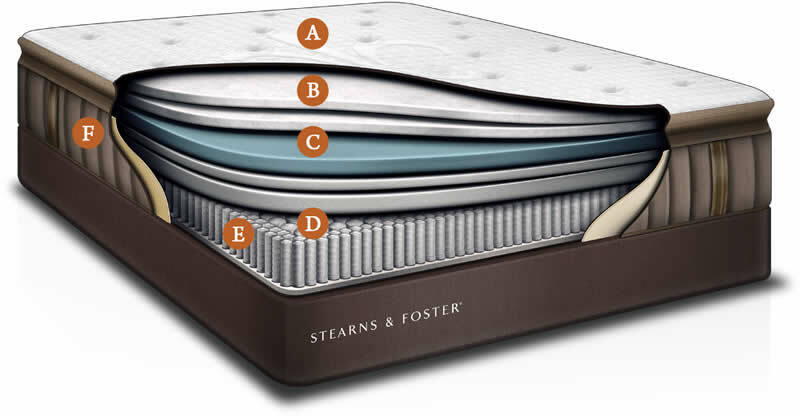 The Stearns & Foster® Scarborough Luxury Firm Pillow Top sets a high bar for a luxury mattress. At its core is our exclusive IntelliCoil® Advanced, with an innovative design that constantly adapts to your body shape and movement to deliver the perfect level of support.